The perfect fabric can make-or-break a quilt design. 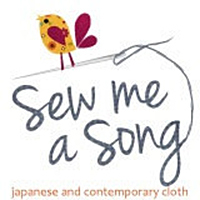 Author, Amy Friend, teaches you to take your time to make thoughtful fabric choices before you begin piecing for truly dynamic results. 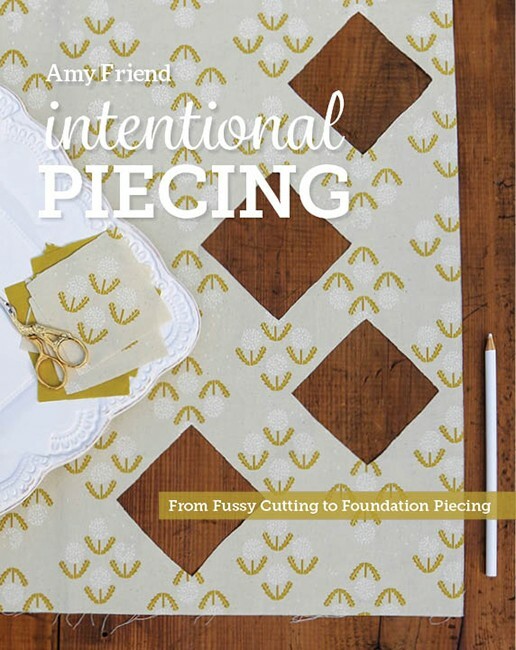 Amy Friend’s intentional piecing method doesn’t strive just for the finish line. Instead, you’ll learn to focus on precise, thoughtful work. Amy teaches you to ask the questions she consistently asks herself: What fabric would make the design better? Which design and method would best showcase the fabric? What choices would make the project uniquely yours? And who doesn’t love going through their fabric stash to find that perfect one! But this book isn’t just encouraging you to make thoughtful cuts from your favorite prints. Amy incorporates selvages and stripes, border prints and precise piecing for graphic and sometimes whimsical results. Sew a variety of projects like quilts, a clutch, and even a tote with 10 interchangeable paper piecing blocks to customize (with over 40 pages of templates to experiment with!). Fabric choice and placement are the best ways to tell a story in your quilt projects, and Amy will guide your choices about what to keep in your stash. Foundation paper piecing is often the most effective way to achieve perfect blocks, but you’ll enjoy traditionally pieced and applique projects as well. Through all of the projects, Amy demonstrates how the marriage of the perfect fabrics with the right pattern and technique can liven any project. Packed with beautiful photography taken on-location in New England, this book is a treat to flip through and use. So relax. Take the pressure off yourself to finish quickly and you’ll be rewarded with beautiful projects pieced with intention. Signed copies are available from the author’s Etsy Shop. and your local book and quilt shops. Please ask for it! Adelaide Bag–please note that the instructions reference Template 1 on page 119 and Template 2 on page 117. These pattern pieces were consolidated to just page 117. Template 1 refers to the full bag piece created by using the pattern on page 117 to cut on fold. Template 2 refers to using that same pattern but a cropped version, cut at the scissor line.